This is one of the bigger changes in one of my former film scenes. 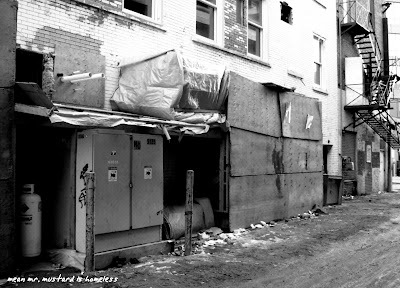 In the 6 years since this project was made, one of the buildings that used to be on this alley has been demolished, and the loading dock that served as Mr. Mustard's bed is now completely boarded up and enclosed. 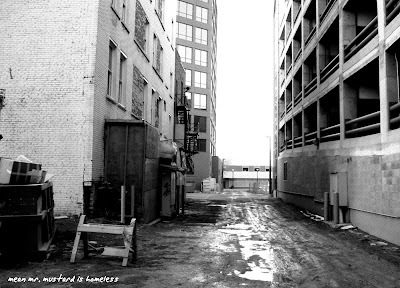 The alley, which was paved at the time, is now a muddy mess due to the construction in the area. While it wasn't difficult to recognize my shots again, the changes really emphasize how long it's been.